Fishery managers from Oregon and Washington today set recreational white sturgeon seasons for the Columbia River estuary and Bonneville Pool. In the estuary, from the Wauna power lines downstream approximately 40 miles to Buoy 10, sturgeon retention will be allowed three days a week from Monday, June 5 through Saturday, June 17. Retention days will be Mondays, Wednesdays and Saturdays, with a daily bag limit of one fish and size restriction of 44 to 50 inches fork length. In addition to the Columbia River mainstem, the open area includes Youngs Bay and all adjacent Washington tributaries. On days open to retention, angling for sturgeon (including catch and release) is prohibited after 2 p.m..
Anglers should note that the Rose Festival Fleet will be transiting the lower Columbia River during this fishery. Anglers, including anchored boats, are reminded that the Naval Protection Zone around these ships is a 500 yard perimeter. The lower Columbia River has been closed to sturgeon retention since 2014 due to concerns about population status. The number of legal-sized sturgeon has been increasing since then. In February, angler groups asked the fish and wildlife commissions from both states to investigate the possibility of reopening the fishery. “What we are doing here is a purposely conservative approach to reopening the sturgeon fishery,” said Tucker Jones, ODFW’s Ocean Salmon and Columbia River Program manager. 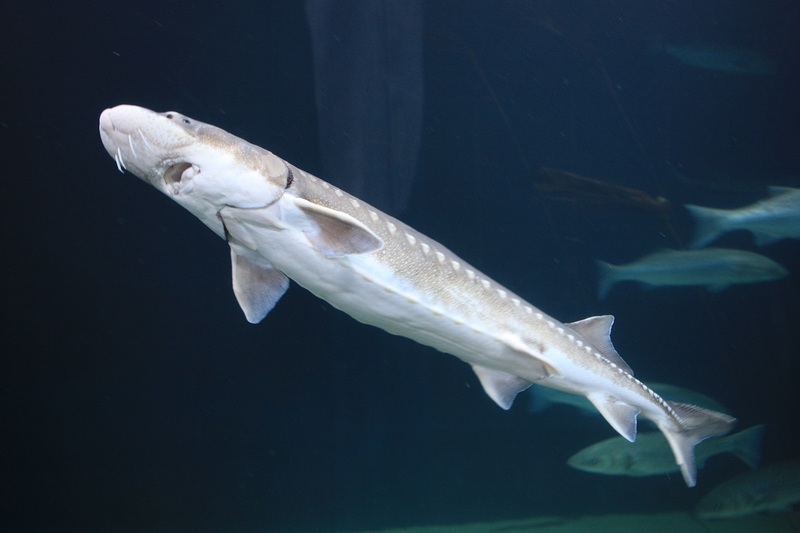 In Bonneville Pool, recreational white sturgeon retention will be allowed on Saturday, June 10 from Bonneville Dam upstream to The Dalles Dam, with a bag limit of one fish per day and a size limit of 38 to 54 inches fork length. Angling for sturgeon is prohibited from The Dalles Dam downstream 1.8 miles from May through July, as that area has been designated as a sturgeon spawning sanctuary. Sturgeon retention remains closed in the lower Willamette and in the Columbia from Bonneville Dam downstream to the Wauna Powerlines, although fishery managers indicated they will be looking into the possibility of reopening these fisheries in the fall. Anglers are reminded that the annual bag limit for white sturgeon is two fish; any sturgeon previously tagged in 2017 count against this limit. For more information, visit ODFW’s Columbia Zone Regulations Update Page.